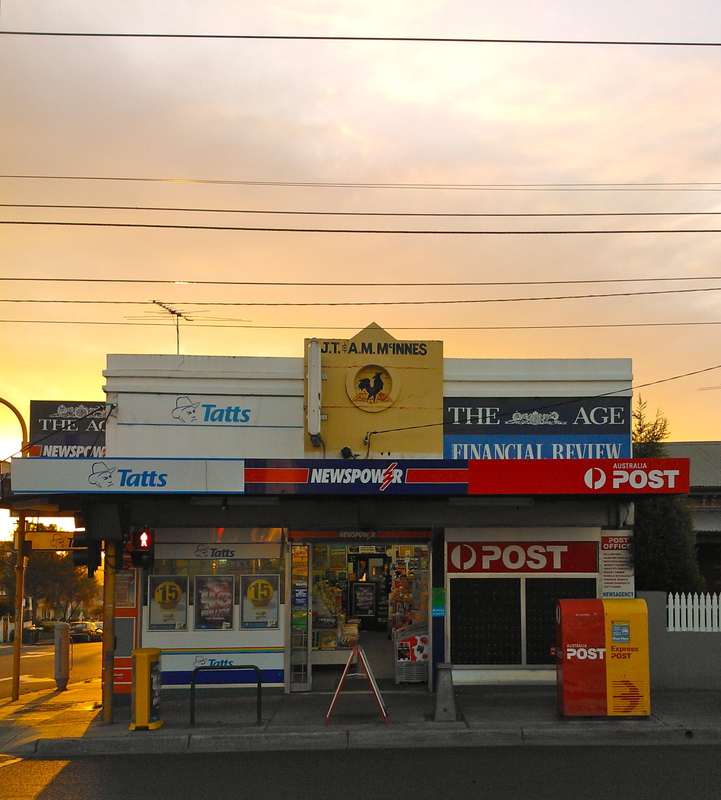 Some pre-Rupert signage for Melbourne’s most maligned newspaper. I love the lettering here. It’s not “machine” perfect, but has a definite style to it. A strong Grotesk, without the Helvetica vibe. This place is right on the corner of Melville and Victoria St, where there are a string of grand old shop-fronts and the imposing Estonian House, a massive community hall. It’s a great little strip and would be worth looking a little more into. 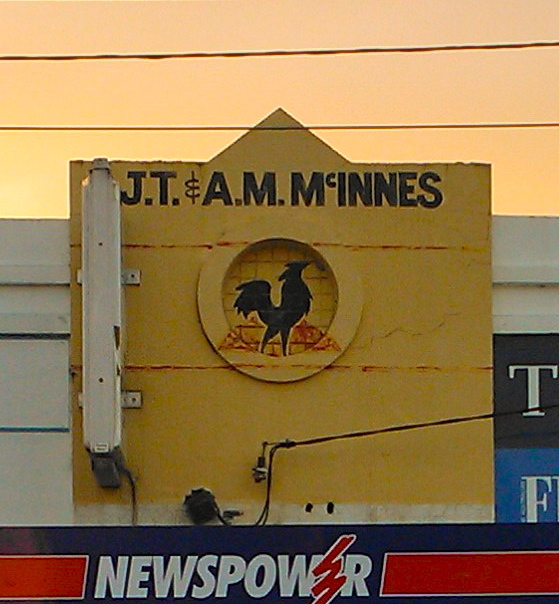 I love that the current owners of this newsagency saw fit to keep this sign visible, even though they have obviously gone to town on the new, throw-up metal signs. Bless ’em. I could only find the one little classified for Mr. & Mrs. McInnes, from 1954. Just to wish everyone a Merry Christmas … Awwww. And a Merry Christmas to you too, sir. Tags: Newsagent, The Sun. Bookmark the permalink. Previous post ← Gilmour’s Milk strikes again. I guess you may already know that Estonian house was the Western Theatre until about 1971. It’s one of the last surviving suburban cinemas out this way (though no longer operating). Another is, of course, the West Coburg Progress Theatre on Reynard Street was operational until the late 1990s when the progress association sold the hall. Really enjoying your photos and stories – keep it coming!